Armadillo Cover Guards are a fantastic range of shelters, with all the features you could want (and need). Available in three sizes to cater for single or multiple bikes, quads or even small vehicles. 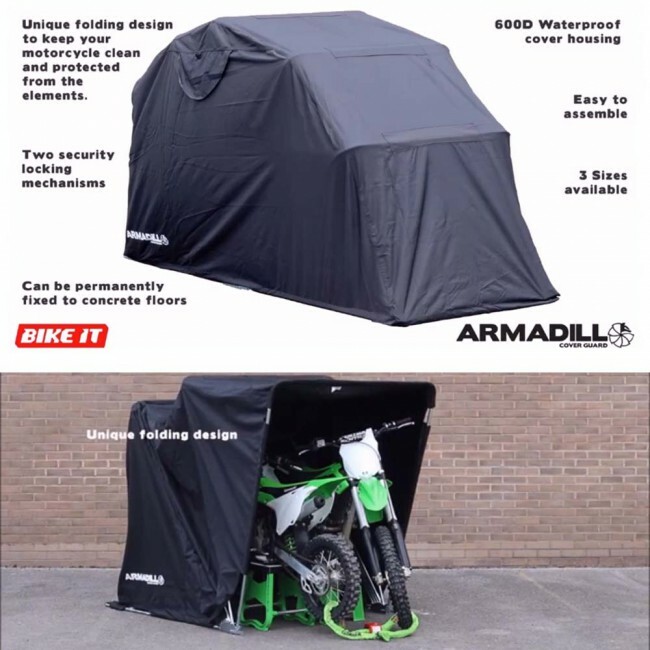 Easy to open and close, and designed to store motorcycles freely without material contact, these are ideal for you as you look to protect your bike from the elements. The shelter can be fixed permanently to concrete using the included expander bolts, and locked using the two security mechanisms (requires padlocks, not supplied).